This review for The Everyday Family Chore System by Vicki Bentley of Everyday Homemaking couldn’t have come at a better time. One of the reasons that I haven’t been able to regularly update this blog is because we’ve been operating on semi-survival mode since June, when The Amazing AL, our part-time housekeeper for the past 12 years suddenly retired for health reasons. Although she came in only four times a week, we had been largely dependent on her for the household’s smooth running. She did all the major cleaning, anything laundry, and most of the cooking. I was in the middle of massive deadlines, as was The Hubby. I also had my last business trip out of the country (on my birthday!). Everything snowballed from there. So with AL gone, we were scrambling. My priorities were food and clean (not ironed!) clothes. The girls did step up, and we are getting chores done. In fact, I’m so proud of them. They get their own breakfast and wash their own breakfast dishes daily. And there is less need to remind them to pick up after themselves. There is less arguing over who needs to do what (keyword: less). But there is so much more that we can improve on. 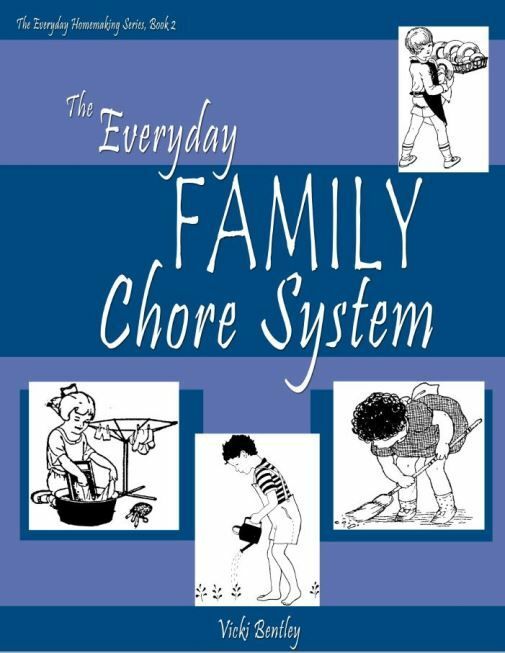 And that’s where Vicki’s wonderful ebook, The Everyday Family Chore System comes in (it’s also available as a printed book, BTW). The book is divided into three parts: Laying the Foundation; Implementing the Plan; and The Actual Chore System. I was tempted to go straight to Part 3 immediately, but I’m glad that I took the time to read the first two. What Vicki talks about isn’t really new. But it’s what I need to hear again at this point. Most of her words resonate with me. This for example: “Child training is the first step to successful home management training.” I mean I know that. But it’s different when presented this way. I also agree with the heart behind the training—to grow their sense of responsibility and service to others; and of course, to teach them the nitty gritty of life skills. Submit to one another without rebellion. Work myself out of a job. She also gave four basic principles for training, two of which really struck me: 1) have realistic and age-appropriate expectations; and 2) establish rules or standards. These made me realize that sometimes I seem to expect too much of my kids without having established rules or standards at all. I always tell them, “Use your words. I can’t read your mind,” yet I have been expecting them to read mine. I expect them to see what I see (books on the couch, for example) and do what I need them to do (put the books away on the bookshelf). Coming from that point where AL did almost everything for them (and me! 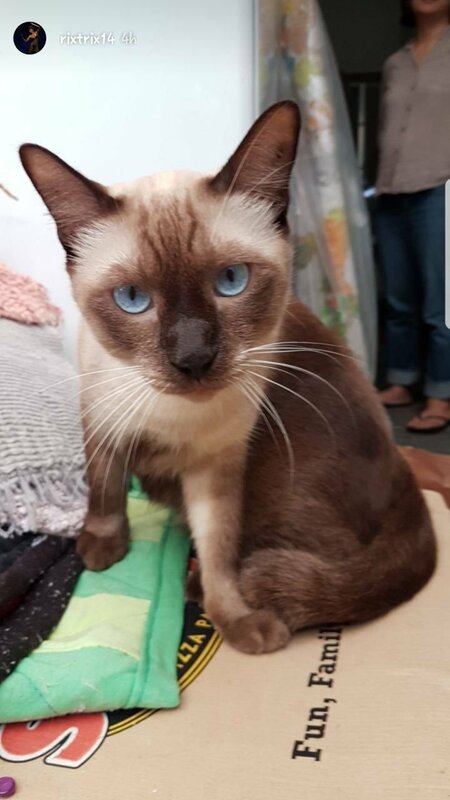 ), it will take a bit more training for them to see the books on the couch as something that needs to be put away, rather than something that is conveniently there for them whenever they’re seated on the couch in want of something to read. Same thing applies to laundry, to washing the dishes, to sweeping, to making their beds, to cooking, to cleaning the bathroom…I need to not only tell them what to do, but more importantly, I need to work with them as we accomplish the task together. Sometimes several times, until they can do it well enough on their own. One of the most important things I learned in the second part is to write down the chores that are most important to cover in our household on a weekly and daily basis. 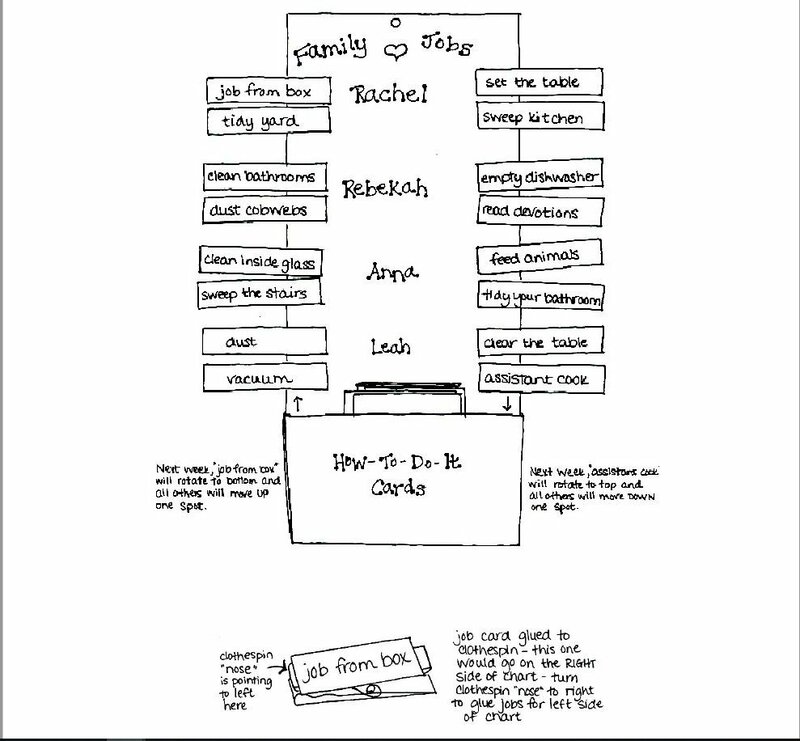 I have always been meaning to make a chore chart, or a laminated daily to-do list, but I never got to it. Finally, the girls and I sat down and wrote down all our needed chores on a white board, and that’s what we’re working off from for now. It’s not as nice as I want it, but it will do for now. Vicki recommends that the chores be on rotation, with enough time between rotations to learn to really do the task well. She also suggests that the jobs that aren’t done as regularly, such as spring cleaning, can be assigned all throughout the year, and can be assigned to a child (even as a disciplinary tool). The Everyday Family Chose System has several recommendations to set up the family chore system—but I haven’t had time or energy to do. I want to though! But that will come by the end of the month, when all my deadlines are done, and before the kids start a new year. In the meantime, I’m focusing on teaching the kids how to work. I really love how the book reminds me to be diligent and through. The kids and I went through the definitions of both. Diligence and thoroughness are something that I have been trying to teach the kids when it comes to school work, and now, housework. Actually, this should be a life mantra. One of the things I like (but haven’t implemented) from the system are the how-to-do-it cards. These make sense! They list down how things should be done. The book includes several of these, but I plan to make my own for cleaning the floor, laundry, and cleaning the bathroom. One other thing that’s working for us is paying others to do our chores for us. It makes sense—you pay someone else to do your job for you, just like we did with AL. The kids get that. So if they haven’t done their chores, and I have to do it or ask the other kid to do it, then whoever owns the chore will need to pay for the work done. This, of all things, I think, has made Raine more diligent in feeding Simon the cat and cleaning out his litterbox. Hallelujah! 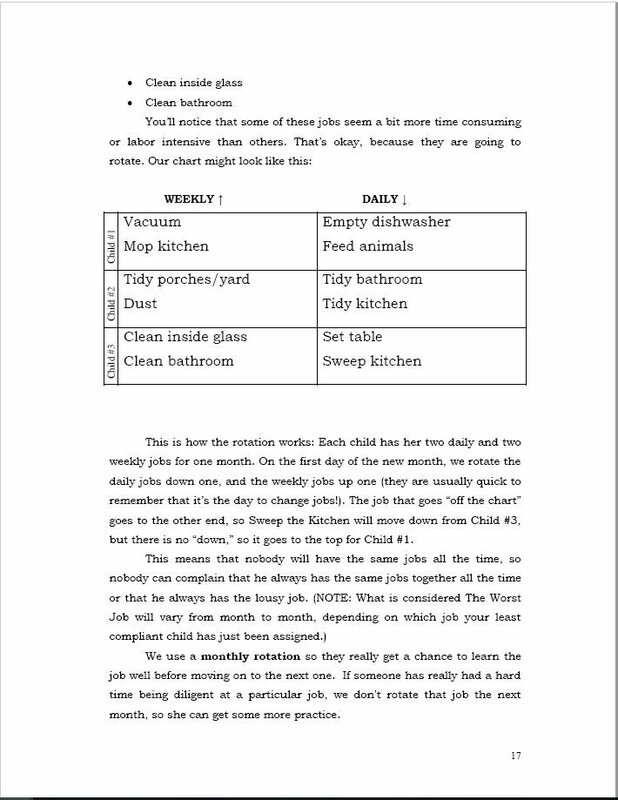 Overall, I think The Everyday Family Chore System is a great resource, especially since you can print out the Part 3 as many times as you want. Part 3 contains suggested chores that you can use for your own system, plus blanks, and the how-to-do cards. Of course you can always make these on your own, but why bother when it’s here readymade? 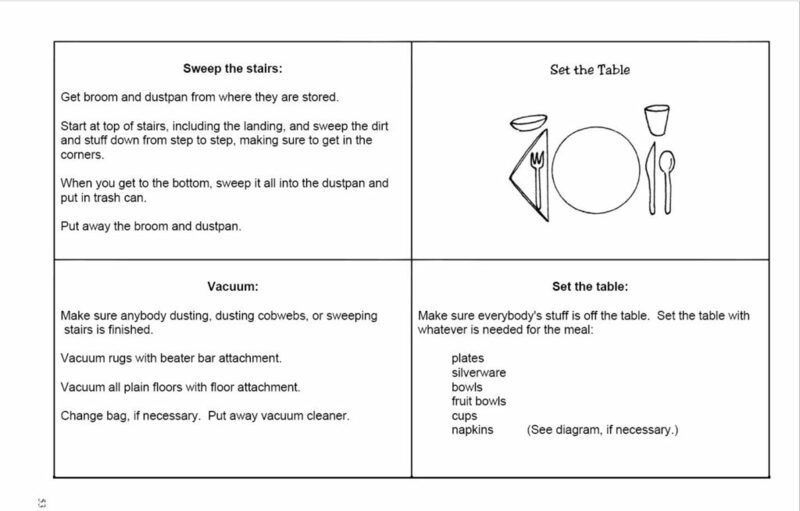 yday Family Chore System and/or Everyday Cooking (print or e-book) through Labor Day! The code for your readers is TOS10books --they can apply it to as many books in their cart as they'd like, but they do need to shop first, apply the 10% discount code last. (Sorry -- eccentric cart function) Expires Sept 5.” That’s a pretty good deal! I highly recommend her book. I will update when we physically implement our version of the system. I’m so glad that the chore system is helping you to re-focus as your household is changing. I hope the How-to-do-it cards help streamline things for you and de-stress the process for you! Thanks so much for your thoughtful review.